As parents, we spend a lot of time worrying about our children’s education: we nag them to finish their homework every night, we push to pair them with the best possible teachers, and we lay awake at night hoping they are going to be prepared for their future. However, we often ignore one of the largest, yet invisible, obstacles to a child’s education in Los Angeles: air pollution. We are a city inundated by pollution-spewing cars, buses, and trucks—with a big opportunity at our fingertips to switch to clean, electric transportation. As a mom in the most notoriously smoggy cities in the country—Los Angeles—I constantly worry about the air my 10-year-old daughter breathes. I think about it as we pass by morning traffic on our walk to school, at soccer practice, and at bedtime. I think about it especially when I have to pull out my own inhaler. As an asthmatic myself, who has recently been diagnosed with chronic bronchitis, I hope they never have to live their lives struggling to breathe like I do. According to the American Lung Association, six out of the ten most polluted cities in the US are in California, including Los Angeles. Because children breathe more air per pound than adults and spend a greater amount of time playing outdoors, kids are particularly susceptible to air pollution. Children who go to school, live or play near major roadways are at risk from the toxic emissions that come from natural gas and diesel cars, buses, and heavy-duty trucks. These emissions include nitrogen oxide, ozone and particulate matter that can cause asthma or decreased lung function. In Los Angeles County, one in 11 children suffers from asthma. Among African American children in Los Angeles County, the situation is even more dire: one in five African American children lives with asthma. Asthma and pollution-related health problems have a big impact on how our kids learn. A 2014 report from the Los Angeles County Department of Public Health showed that, on average, students with asthma missed 5.7 – 6.5 days of school. Not only does poor air quality impact our children’s health, but also their education—and thus their future—by robbing them of a whole week of class. In my neighborhood in South LA, it didn’t feel like there were many ways we could protect our kids from unhealthy air. Then I started getting involved in environmental activism. Now, I know that the best way I can protect my children and clean up the air our family breathes is to demand strict air quality and emissions rules from local leaders. And it’s my job as a mother to push them. On July 27, the Los Angeles Metro Board of Directors will consider whether to switch their entire fleet of buses to a 100 percent zero-emissions electric by 2030. Getting those greenhouse gas and smog forming emissions out of our air means fewer doctors appointments, asthma attacks, missed school or work days, and less money spent on asthma medication. Most of all, it means fewer worried mothers stressing about the air we breathe. I hope Metro continues their legacy of taking a stand for clean air. In the 90s they were the first major public transportation agency to switch to lower emission natural gas. More than 20 years ago, that was pretty good, but today we can do so much better. We have zero emission electric buses ready to go. Bus and car pollution may not be the first thing you think of when you look at everything our young students face but getting 2,200 dirty, polluting buses off of our streets will go a long way towards helping our kids breathe, and learn, easier. As parents, we’re often asked to take a stand and demand the best future for their children and clean air is no exception. Nothing is stronger than a mother’s love — it can stop a bus. 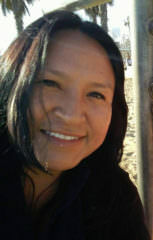 Nancy White Horse is a South LA parent and former liaison for the Los Angeles City/County Native American Indian Commission.